A forged cavity back iron that plays like a blade but has forgiveness? Sounds like that may be a winner in the iron market. Callaway has designed the 2013 X Forged Iron Set with those characteristics in mind. Tour professionals enjoy the looks and performance of the muscleback irons and everyday golfers need the forgiveness. But don't think that tour professionals don't like forgiveness either. The '13 X Forged iron set comes with CG Height Progression. This technology places the center of gravity (CG) lower in the longer irons for added height on the shots, and higher in the short irons for a lower, more penetrating ball flight. 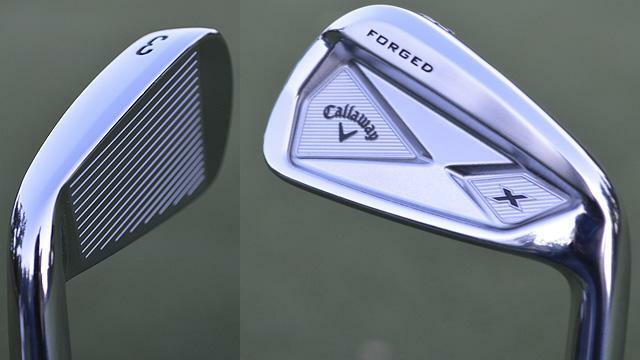 The X Forged irons also are 1 degree stronger than Callaway performance irons in the past (i.e. 20 degree 3 iron, 46 degree pitching wedge). 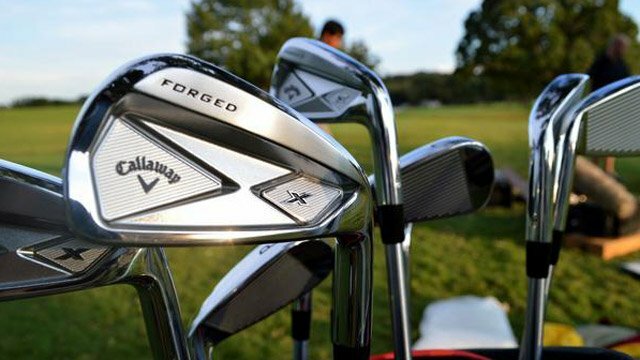 Callaway engineers say that they created the X Forged iron set for the tour. The irons are designed to go farther with the higher launch in the long irons, and have more control with the flatter flight in the short irons. They will come stock with Project X PXi, a tour-quality iron shaft that is lighter than the standard Project X shaft yet has similar performance characterisitics. The blade length of the iron is smaller than the Razr X forged irons of last year and the look of the iron also changes. No longer is the toe square and high; the '13 X Forged set is designed to look more like a muscleback iron. But it is not yet as small as most muscleback irons, still allowing the iron to be forgiving for the masses. Callaway tour representatives think the '13 X Forged iron set will be replacing most iron sets in the bags of Callaway players, even those who still game muscleback irons. The iron set is available to the public on January 25th and will retail for $999.